I just received (thanks to Garry! :>) my first video camera. I'm trying out home-videos on "flute how-to's" and here is my first attempt. Should be of use to students. 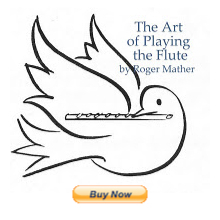 Lots of flute care tips to print out here, as well.